Mrs. Luvene's 8th grade math class built a cabin out of newspapers. 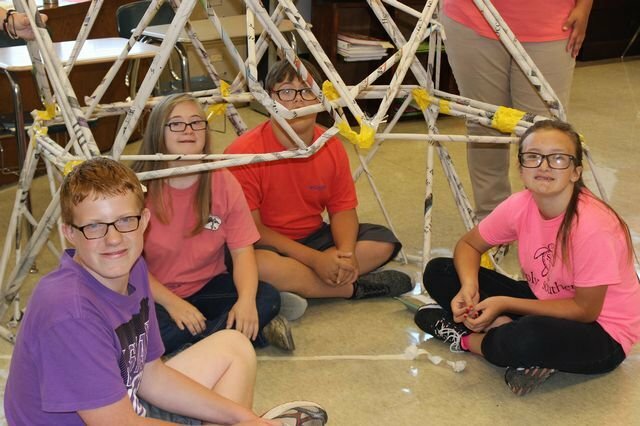 The week-long project required the students to gather the correct amount of materials, follow step-by-step directions, and use critical thinking skills in order to work together to stabilize and properly build a cabin. The students also went into Mrs.Trent's classroom to show them the process of building the framework for the cabin. This was a great project to use math, life, and social skills.